My teen is soon to have her wisdom teeth removed. It would be fair to say that she has some anxiety about the dental procedure. As she has been fortunate, without any cavities to date, this procedure will be a very new experience for her. Fortunately, her dental experiences thus far have been wonderful ~ our pediatric dentist's office and staff very friendly, sensitive and, most importantly, gentle. To help ease her anxiety and prepare her for this dental procedure, I've done a fair amount of research on the topic of sedation dentistry to help quell her fears, as well as assure myself. My younger sister, in fact, was able to share her experience with sedation dentistry in Nashville. Unlike the days of old, when gas and Novocaine shots were the only pain relief options, sedation dentistry is truly the way to go! One little pill and she essentially napped through the procedure. No experience of ongoing, conscious anxiety during the work. In fact, she had no memory of procedure afterward, at all. My sister shared that, unlike the loopiness and lurching one experiences with gas and Novocaine, she found the sedation dentistry experience significantly more dignified. Hearing of her aunt's experience, my daughter is much calmer about her upcoming extraction. She is quite relieved to know that she won't have to endure the stress of being awake during the process or receive any shots. As her mother, her relief, is my relief. I am participating in a blogger campaign by Bucks2Blog and was compensated. The opinions above are both honest and my own. 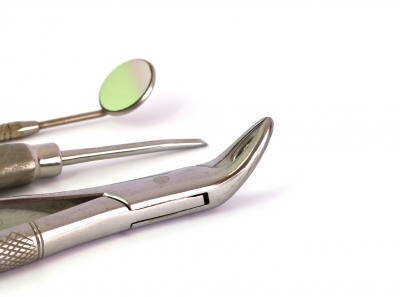 Dental Instrument Image.